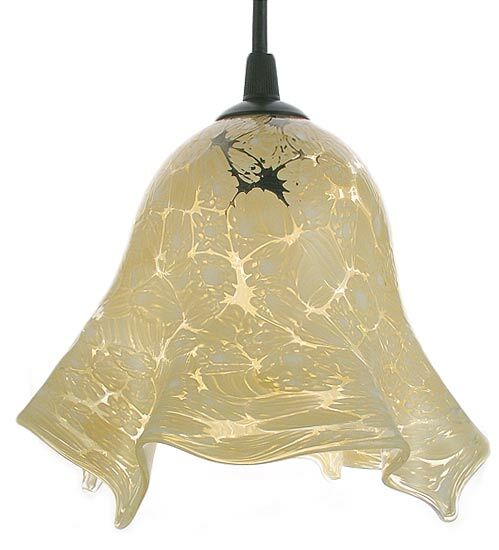 A warm, honey toned millefiori glass was used to make these elegant "fazzoletto' (handkerchief styles) lamps shades. Each shade is approximately 6 inches tall and 6 1/2 inches wide at the base. 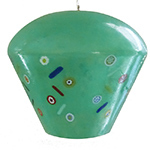 Hangs from a black-finished ceiling plate using a color-matched electrical cable. Recommend energy efficient candelabra base bulb; max wattage use 60 watts. Handmade in Murano.